As a normal response, by populating the fields like “ErrorNumber” and “ErrorMesssage”. Assuming that these fields are defined in the response message structure in WSDL. Typically when OSB is mediating between service consumer and service provider, we might have to transform this error response or fault response to the response structure defined in the proxy WSDL. So we need to understand on what message context variables can be used for this transformation. As per WS-I BP, the service provider should send the HTTP response code as 200 when the error is being sent back as normal response and 500 should be sent when the error being sent back in form of the SOAP fault. When HTTP response code 200 is received, OSB treats it as a normal response and $body will have the received response. And when response code 500 is received, the OSB runtime control goes to the ‘Service Error Handler’ if present or to ‘System Error Handler’. That means OSB considers the fault response also as a normal response and populates $body, when response code is 200 is received for fault response. And OSB populates different message context variables in case of fault response with 500 code depending on whether Routing or Service Callout are used to call the business service. When routing is used, the variable $body will have the fault response. When service callout is used, the variable $fault will have the fault response in ‘ReceivedFaultDetail’ structure. For demonstrating the same, the following SOAP fault structure is used as a response in SOAP UI mock service. 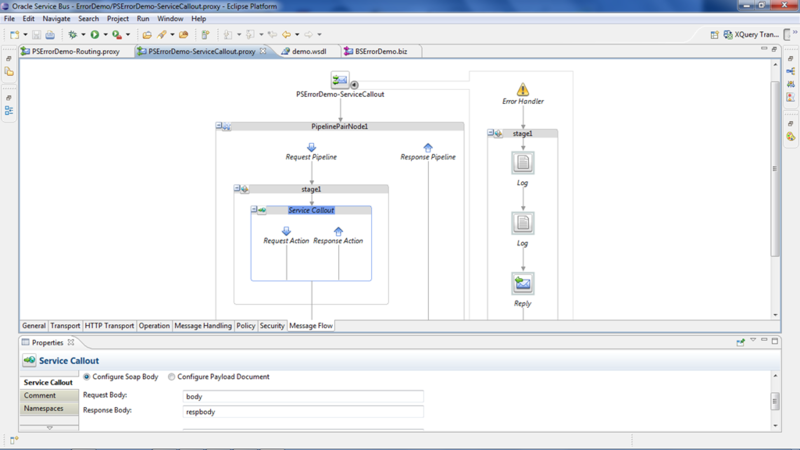 Create 2 proxy services with routing and service callout as shown below. The log activities in the error handler are used to log the contents of $body and $fault variable for demonstration purpose. 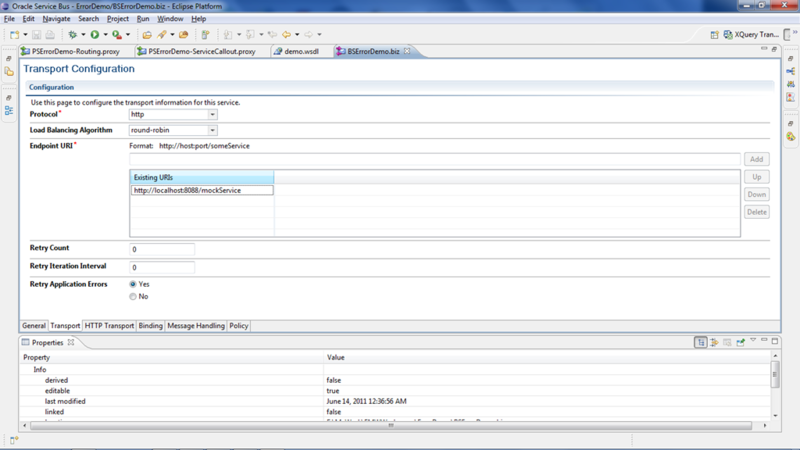 Create a business service by giving the mock service endpoint which returns a SOAP fault as shown below. 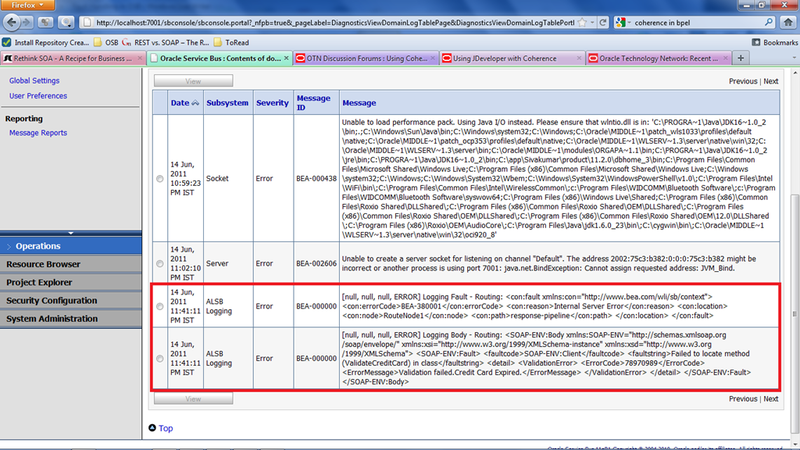 In case of routing, the following screenshot confirms that $body has the received fault response. So the expression fn:empty($body/soap-env:Fault) can be used to find out whether we have received the fault or not. 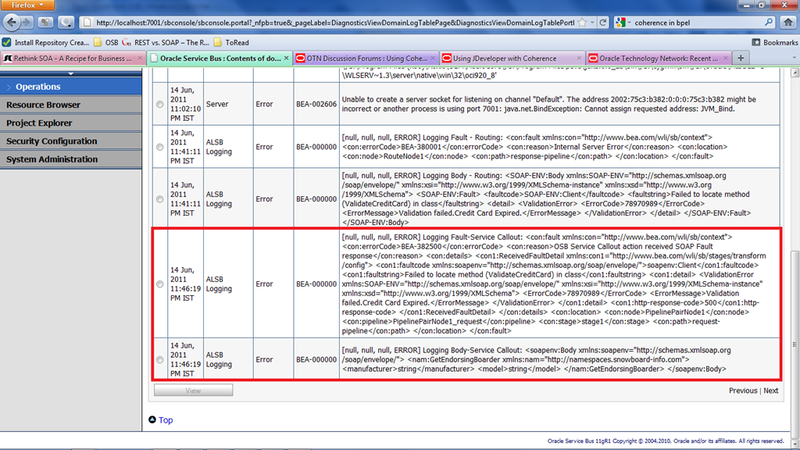 In case of service callout, the following screenshot confirms that $fault has the received fault response. So the expression fn:empty($fault/ctx:details/con1:ReceivedFaultDetail) can be used to find out whether we have received the fault or not. We can come up with similar kind of expressions for all other OSB faults that are described in the link. In case where both service callout and routing are used in single proxy service, a combination of both of above expressions has to be used. Also look at the note given here that talks about fault handling in OSB. 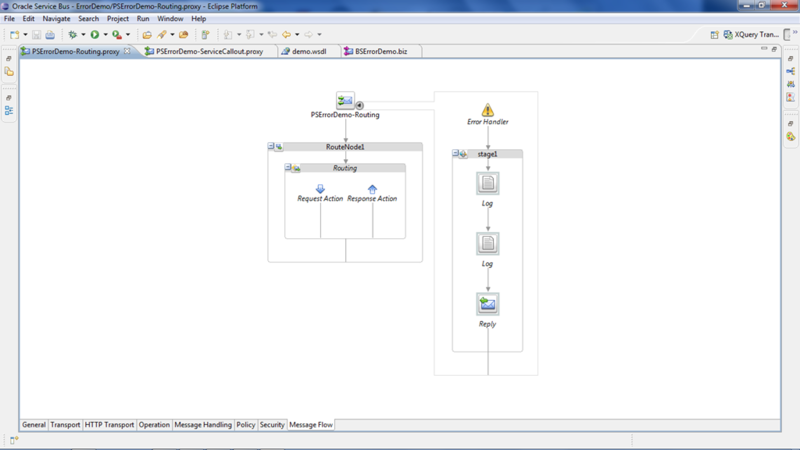 Could you please share any design on common error handling and notification framework in osb? Could you please share your email id as well? i did not remember seeing any standard patterns followed by ppl. Hi Author, Can you please let me know which is the better approach to go with (fault as normal response vs soap fault) ? I want to be little diplomatic here as i feel we can’t decide on the better approach without depending on the scenario. I generally go with the soap fault approach where i declare 2 to 3 specific fault structures and one generic fault structure in WSDL definition.